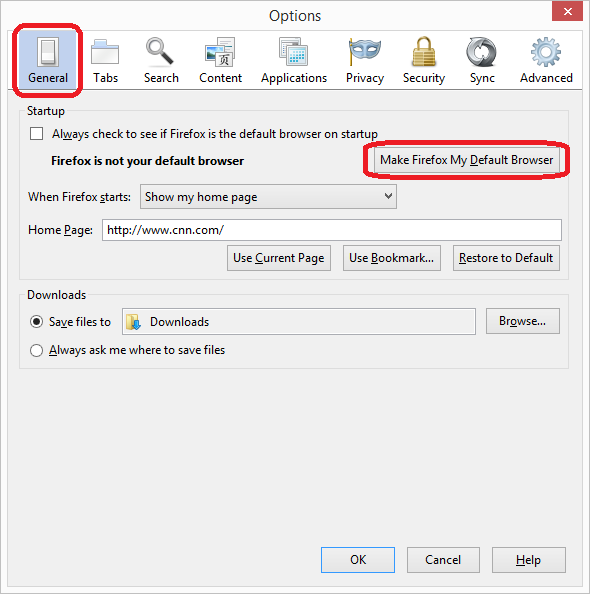 The default browser is the web browser that is automatically used when opening a web page or clicking on a web link. 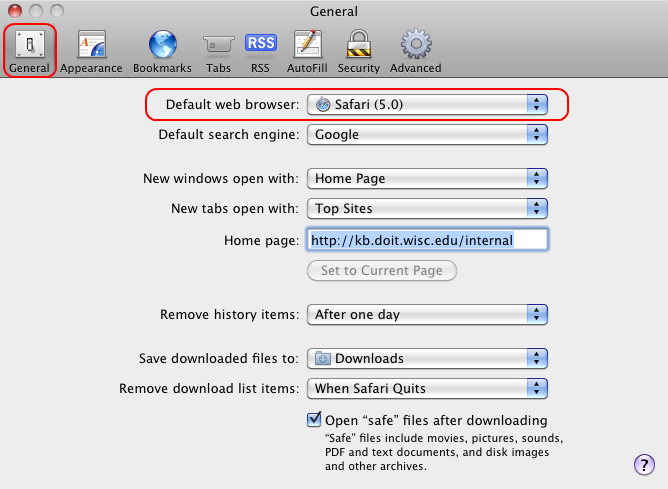 This document explains how to choose the default browser for both Windows and OS X. In Internet Explorer, go to Tools (gear icon) > Internet Options. Click Make Internet Explorer the default browser. You may optionally check the box that makes Explorer tiles open on the desktop. If you leave this unchecked, they will open in the metro interface. You can also specify how you want to open links. Note: In newer versions of Internet Explorer, the Tools menu is represented by a Gear icon. Click Make default. 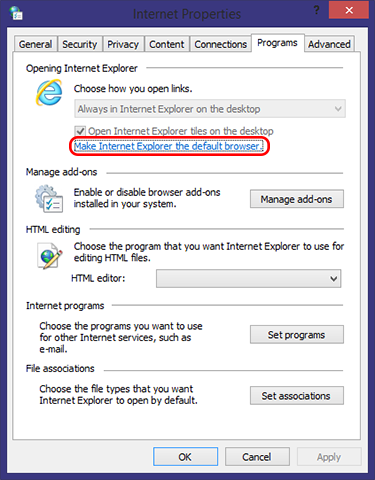 You may optionally check the box if you want Explorer to always check if it is the default browser. 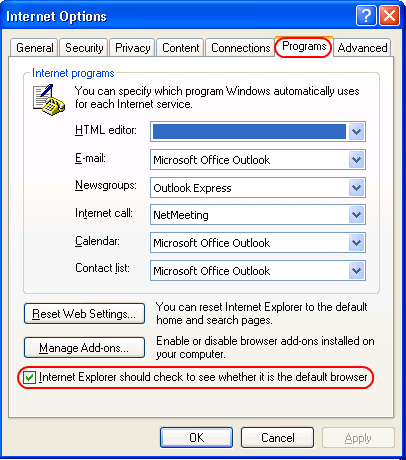 At the bottom of this window, check the box labeled Internet Explorer should check to see whether it is the default browser. 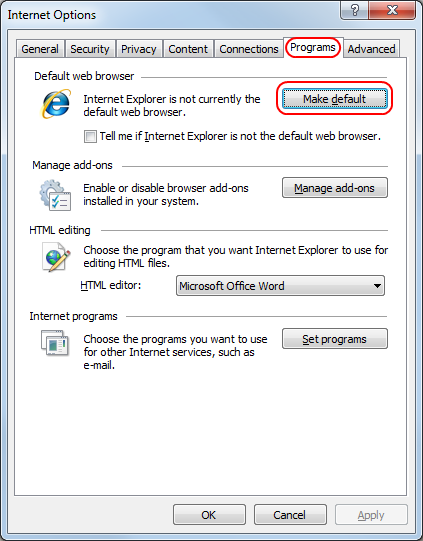 A window should appear asking whether Internet Explorer should be made the default browser. Click Yes (you may optionally uncheck the checkbox). In Firefox, go to the orange Firefox button, then select Options > Options. Note: In older versions of Firefox, go to Tools > Options. Click Advanced, and then open the General tab. Click Check Now, and then click Yes in the new window that pops up. 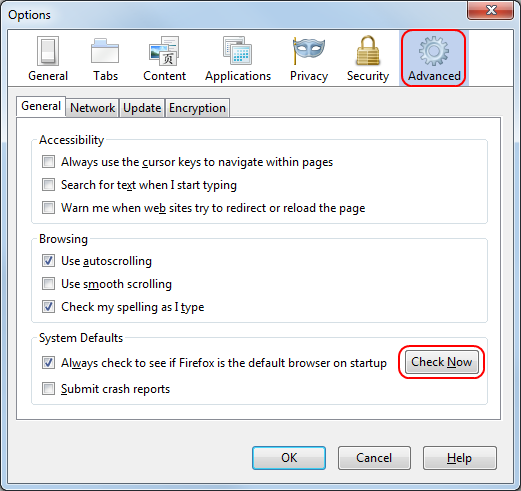 You may optionally check the box if you want Firefox to always check if it is the default browser. Go to the menu button in the upper right hand corner, depicting 3 horizontal bars. Click on the Options, which has a gear symbol. 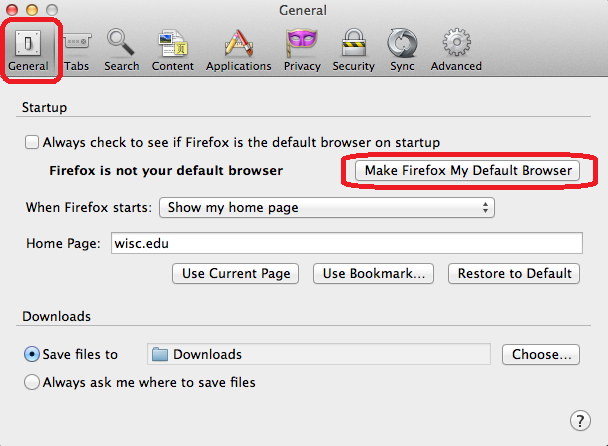 Under the General tab, click on Make Firefox My Default Browser. In Chrome, click on the Customize and control Google Chrome icon . Note: In older versions of Chrome, click on the wrench icon . Under "Default Browser," click Make Google Chrome my default browser. Go to Safari > Preferences. While on the General tab, select the browser you want to use as default from the drop down menu. Go to Firefox > Preferences. Click on the Advanced tab and then on the General tab. Under "System Defaults," click Check Now and then click Yes in the window that pops up. 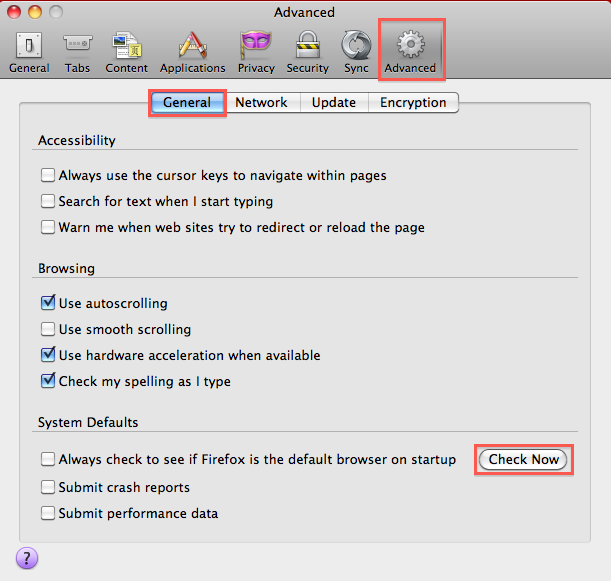 You may optionally check the box if you want Firefox to always check if it is the default browser. Click on the Preferences, which has a gear symbol. Go to Chrome > Preferences.